Professional landscapers and green space maintenance services is booming, as more and more homeowners and business establishments understand that these tasks involve far more than mowing the grass and trimming the hedges. 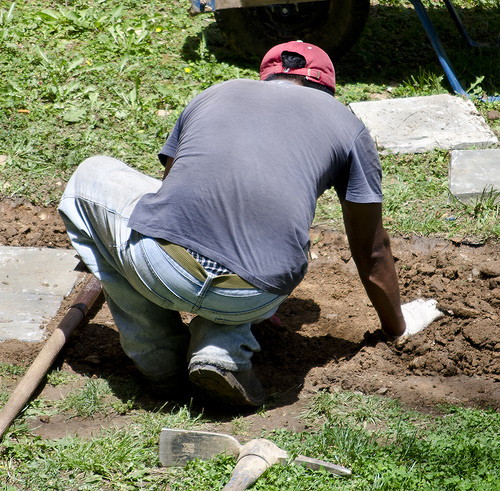 The goal of specialized landscaping companies is also to educate clients regarding the mandatory nature of properly performing the maintenance by staff that is trained and experience in the field, so to speak. Without the proper tools or expertise in green space overhauling, you cannot expect to achieve the same level of results. Let’s find out what you stand to gain by hiring and collaborating with a specialist. Among the incentives provided by well-established landscape artists and green space maintenance companies, we count the following. Achieving a consistent appearance in your lawn implies treating every single patch in accordance to its necessities. In other words, it warrants using the right type of fertilizer for each category of plant, the recommended weed killer and quantity thereof, trimming every bush and tree branch to exactly the required dimensions, etc. There is no one-size-fits-all solution and adaptability of products and techniques is the only way to obtain consistency. Remember that even small nuisances could escalate into highly problematic situations that take loads of time and money to address. The solutions utilized by professional landscapers are far beyond the means of a common household, and sometimes of even small and medium businesses. You could argue that the equipment and products are still available to the general public, and it might actually be true. However, they are in most cases cost and size prohibitive, in the sense that storing them necessitates far more space than your shed or garage is able to provide. Furthermore, you’d end up dishing up a great deal more cash for them, compared to hiring a professional landscaper. A well established landscaper collaborates with some of the most experienced and highly trained experts. Their knowhow guarantees that they will never use an unsafe or ineffective product or piece of equipment, which would run the risk of damaging your lawn and your property. Even if you possess a bit of familiarity with the subject, it’s easy to make a mistake in haste. Since it’s their job to stay up to date with the latest fashion in landscaping and lawn maintenance products, these experts will always be able to recommend the best approach to laying out plant bed, optimal methods of conditioning the soil, so on and so forth. In addition, the landscaper also takes into account the typical weather conditions in your region and is able to identify potential problems with a certain layout or category of flower before you decide to plant them. Finally, electing to hire a landscaper to maintain your green area is a great way to eliminate the stress associated with these tasks. After a hard week at work, you probably won’t have the time or energy to dedicate for lawn care. Naturally, if you’re a fan of yard work, you can discuss the possibility of leaving certain tasks up to you and assign the difficult or unpleasant ones to the landscaper’s staff, for good measure. It is, however, advisable to heed to recommendations of the specialists regarding the optimal way of handling a part of the process. In the event that you still don’t believe you should hire a professional to landscape and maintain the green sections of your property, let’s discuss a few of the challenges you’ll encounter via the DIY method. When bushes and grass reach an excessive height, they become thriving grounds for potential criminals like burglars, thieves and muggers. The concealment provided by the large shrubs enables these criminal elements to move stealthily and remain undetected. At the same time, the safety risks also encompass prospective damage to pipelines and power cables, as the branches could penetrate and break them. Add the limited access for servicing purposes and you have a recipe for disaster. The curb appeal is known to account for approximately 15 to 20 percent of the property’s total retail value. In the event that you intend to sell your home at any point in the future, then you’ll want to ensure that the yard and lawn aren’t an unkempt mess riddled with dead flowers, weeds and brown patches of grass. The curb appeal influences the overall value of the real estate market in your neighbourhood, which further adds to the selling price of your home. Various types of pests thrive in green areas with overgrown grass, shrubs and bushes, as they represent perfect hiding places for nests. Rodents, snakes and insects are by far the most concerning. If you don’t plan to have animal control over for weekly visits, maintaining the landscape with the help of a specialized service is recommended.